Posted on December 5, 2009 by kilaucoffee Tagged christmas cdMusic	Comments4 Comments on A very kilau Christmas CD. A very kilau Christmas CD. 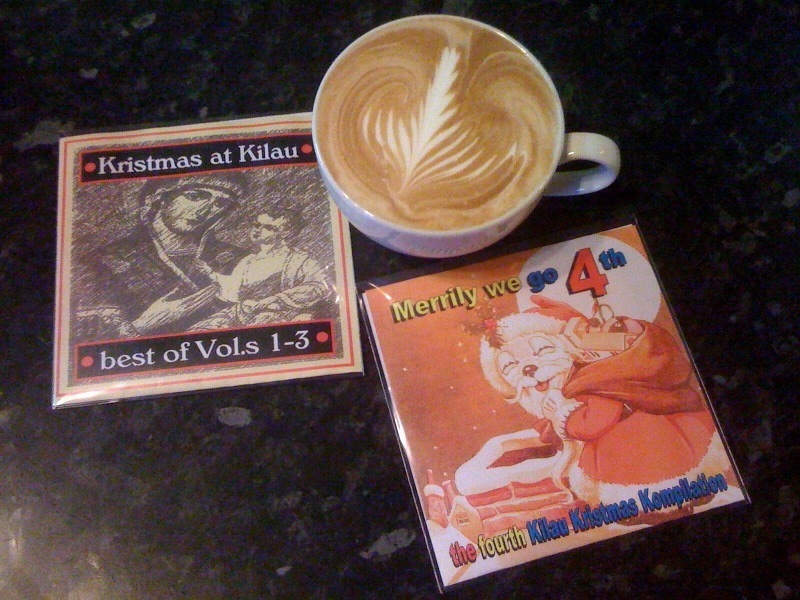 Introducing the greatly anticipated 4th instalment of the kilau Christmas CD, “Merrily we go 4th”! Also available is the “Kristmas at Kilau best of vol. 1-3”! CDs are £3 each or £5 for both! All monies will be going to charity. Available for sale now at kilau, little belmont street! So much fine music for such little money! How could you resist? Many, many thanks to everyone who contributed to these CDs and especially to Alan Davidson who has tirelessly produced these CDs for us for the past 4 years!